EVO 2018 has just wrapped up, and while it may be over, the excitement, drama, and intensity that was felt by the participants and those in attendance will not be forgotten any time soon. We experienced dominating performances, emotional upsets, and nail biting finishes that every eSports player dreams about being a part of. You can check out the recap of the EVO 2018 Grand Finals here. Once the Grand Finals ended, Bandai Namco took to the stage to showcase the new fighters for Tekken 7. Announced as the Season 2 Pass, which will release new fighters for the game at random intervals, and includes two longtime stalwarts of the Tekken franchise, Anna Williams, and one of my personal favorites, Lei Wulong. Anna made her debut in the very first Tekken, back in 1994, serving as the foil to her twin sister, and fan favorite Nina Williams. Lei Wulong started out in Tekken 2, portraying a police officer from Hong Kong with multiple fighting styles, and has been a series mainstay since. 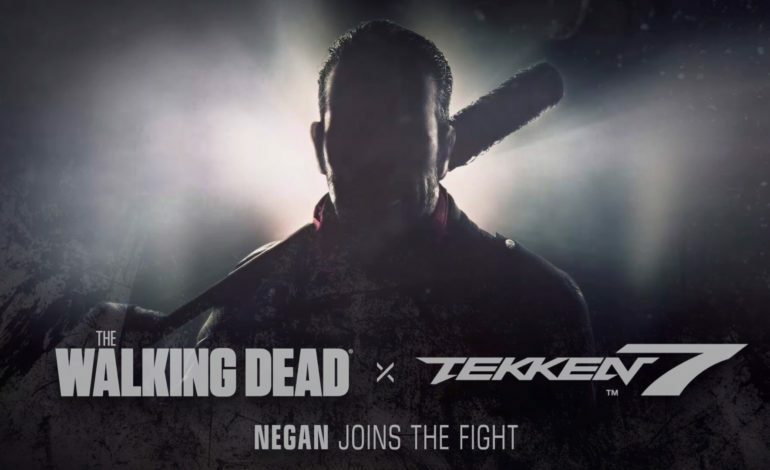 However, the real surprise was when the company revealed that Negan, a character from the massively popular TV series, The Walking Dead, would be making his debut in the fighting game genre. For those unfamiliar with Negan, he is arguably the biggest antagonist from The Walking Dead. He has made a name for himself with his equally famous barbed-wire baseball bat, Lucille, and by being an absolute menace to the main cast of the series. Negan appears to fit perfectly with the Tekken fighting style, which already has a large variety of fighters with different abilities. Unfortunately, no release date was given for the new fighters, or the Season 2 Pass, but it’s more than likely we’ll be seeing Anna and Lei joining the fight first and probably very soon.